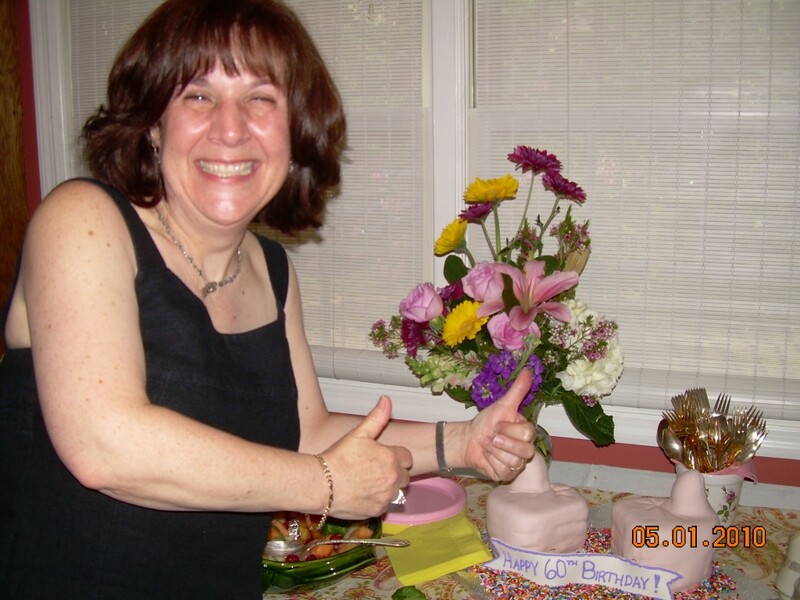 Two Thumbs Up for The Darster! I’ve had some interesting cake requests in the short time I’ve been doing this. I had the snowblower with the bloody finger, the music playing boxing gloves, a now defunct military satellite, and a Christmas octopus, but this was by far the weirdest cake request I’ve had yet. A pair of thumbs up? Thumbs up? Two thumbs up? I’m not sure exactly how to describe it. Let’s put it this way…two hands giving thumbs up. Approval for all. Or one confused game of 7-UP. 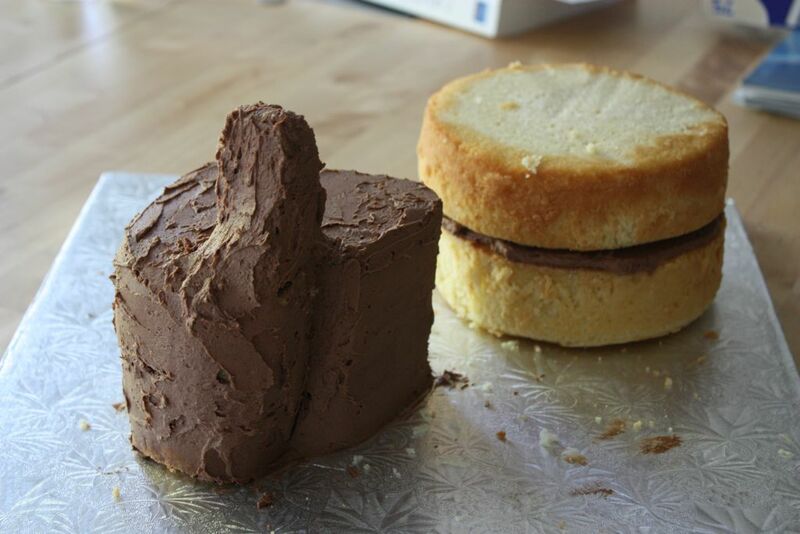 I must admit, I wasn’t really sure how to approach making a thumbs up cake. So, I basically free-handed (har har) it. 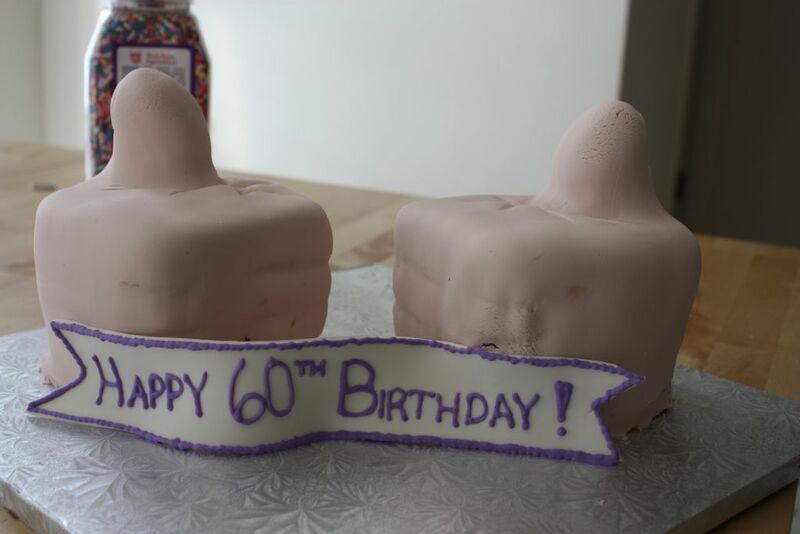 Basically, I stood there giving myself the a thumb(s) up and carved the cake accordingly. 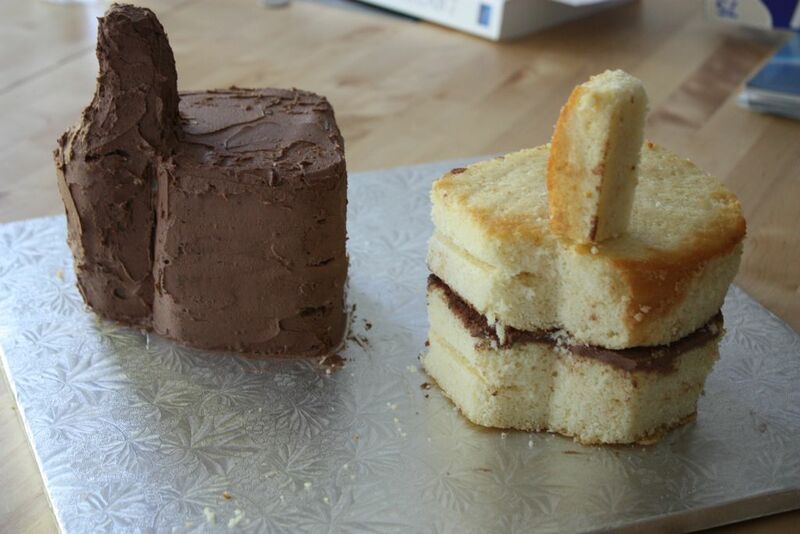 Then I repeated for the other hand (which was decidedly more complicated given that I am not cake-carving ambidextrous). Some buttercreme icing and a layer of fondant was all it took to finish up this handy cake (ok, that one was really bad). Happy Birthday! I’m sorry I missed it! Hurrah, hurrah! I’m glad she liked it! Looks like the party was lots of fun! Hopefully I’ll get to see you soon! simmie, that cake was perfect and completely awesome. also very delicious! one hand was eaten at the party and the other one is sitting in our china closet (my mom does strange things) on display with a piece missing (i got hungry). I LOVE IT. and so does the darster!